With just over a week to go until the season begins, we thought we’d update you with some great news. There’s a LOT of snow in the pipeline! 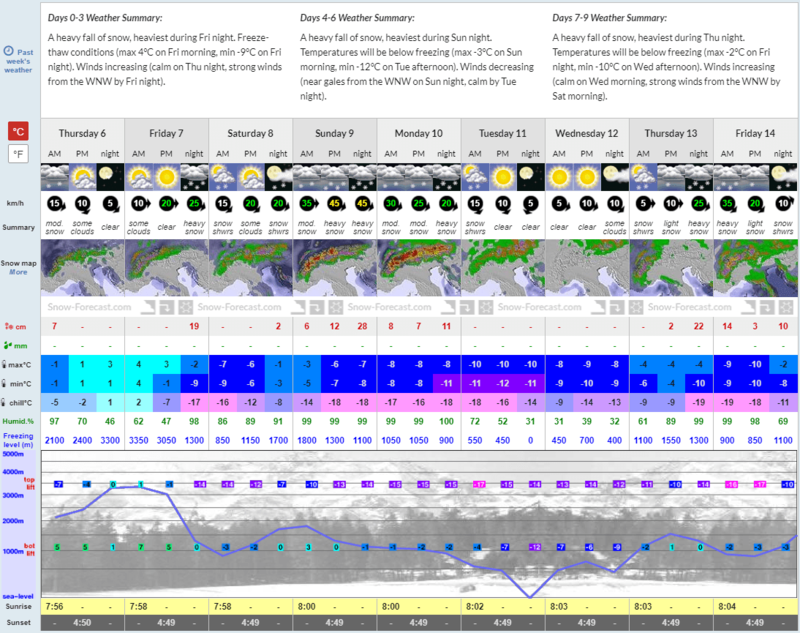 All four of our resorts – Les Gets, La Plagne, Les Bruyeres and Reberty 2000 (3 Valleys) are all expecting plenty of snow this week, with some further top-ups as we move into next week. With 5cm of snow coming this morning (Thursday 6th), tomorrow (Friday 7th) is expected to mark the first wave of this flurry of snow with a heavy 13cm predicted at resort level (or 17cm higher up the slopes). It’s not just the snow that is looking great, but the temperatures look set to drop, meaning any fresh powder that covers the mountains are highly likely to stay. This will create that all-important ‘snow-base’; any seasoned skier will know how important this is! The end of the week (Sunday 9th) is where the fun really begins! A whopping 38cm is expected at resort level, with 48cm of fresh snow higher up the slopes. Sunday night is when the majority of the snow will come down… A sight to behold in the morning for our chalet staff as they roll out of bed during the final stages of their extensive training. A staggering 28cm more powder is highly likely to fall in resort on Monday 10th next week, with 33cm higher up the mountains! Snow is not expected on Tuesday 11th or Wednesday 13th, however as it’ll remain bitterly cold (ranging from minus six degrees Celcius to minus nine), you can be sure this snow won’t be saying goodbye! We will welcome the snow back on Thursday 13th and Friday 14th, with 18cm and 17cm respectively; a dream for our first set of guests. It’s not too late to make the most of this fresh snow; you’ll be the envy of all of your friends as you’ll be the first to conquer the slopes! 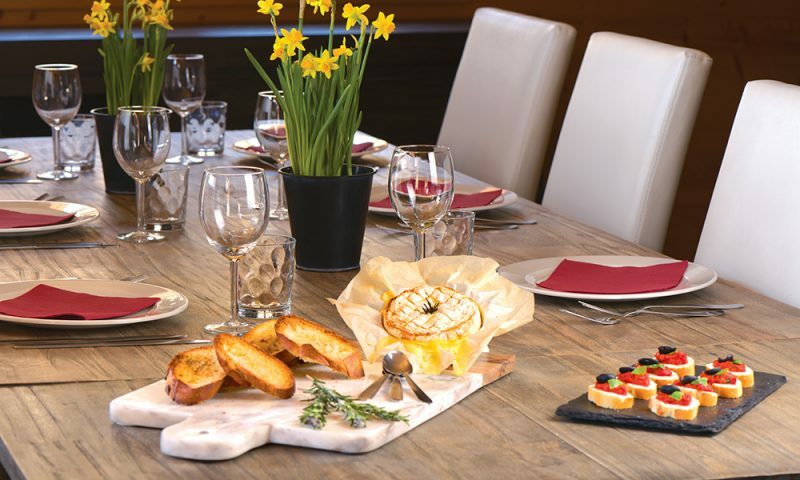 Offers available from £1,999 for a family of four in Les Gets on Week Commencing 15th December. La Plagne is expecting plenty of snow – just like our resort of Les Gets! With 7cm of snow coming this morning (Thursday 6th), tomorrow (Friday 7th) will mark the first wave of heavy snow with 19cm predicted at resort-level and a similar amount higher up the slopes. There has been 2cm of powder forecast for Saturday 8th with temperatures at around minus seven degrees Celcius, meaning the snow won’t be going anywhere for our first guests. Sunday 9th is the day of heavy snow with a mammoth 46cm at resort level (28cm of which will come overnight). Monday 10th sees more heavy snow with an additional 26cm to add to Sunday’s heavy snowfall. Snow is not expected on Tuesday 11th and Wednesday 12th, however with temperatures likely to drop to minus ten degrees, you can be confident that the heavy snow on Sunday and Monday will remain. Forecasts are of course subject to change. 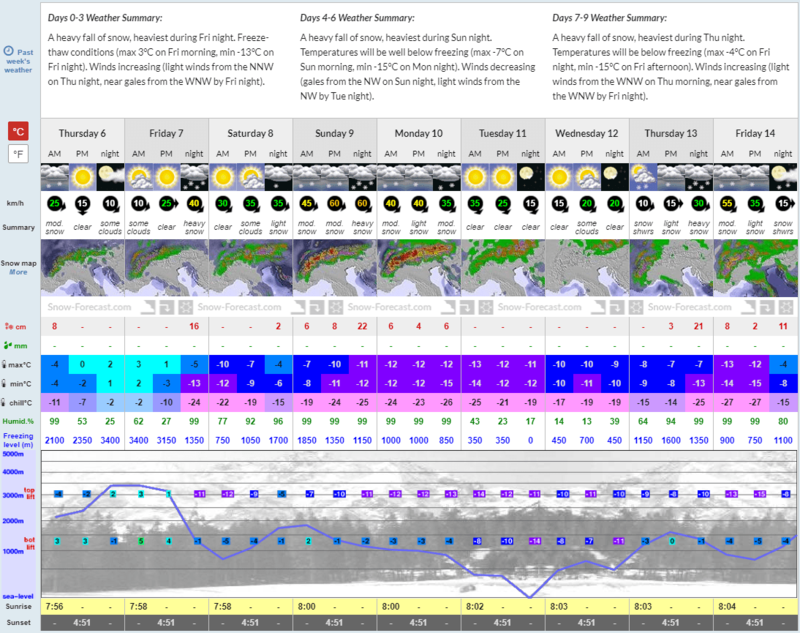 Thursday 13th looks set to be another snowy day with 24cm in resort. A staggering 27cm is expected on Friday 14th too – a dream for our first guests who can be one of the first skiers to make the most of the fresh powder! 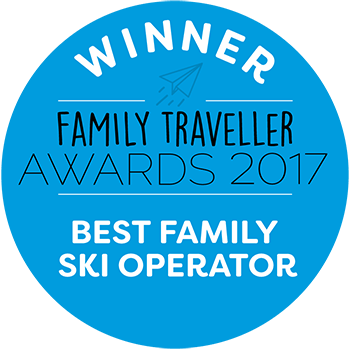 For any families who may not have booked their annual ski fix, we are down to our final offer in La Plagne for the first week of the season. Secure your holiday now with our offer of £2,399 for a family of five in Plagne 1800 on Week Commencing 15th December. With 6cm coming down this morning (Thursday 6th), a further 15cm of powder is forecast for tomorrow night (Friday 7th). 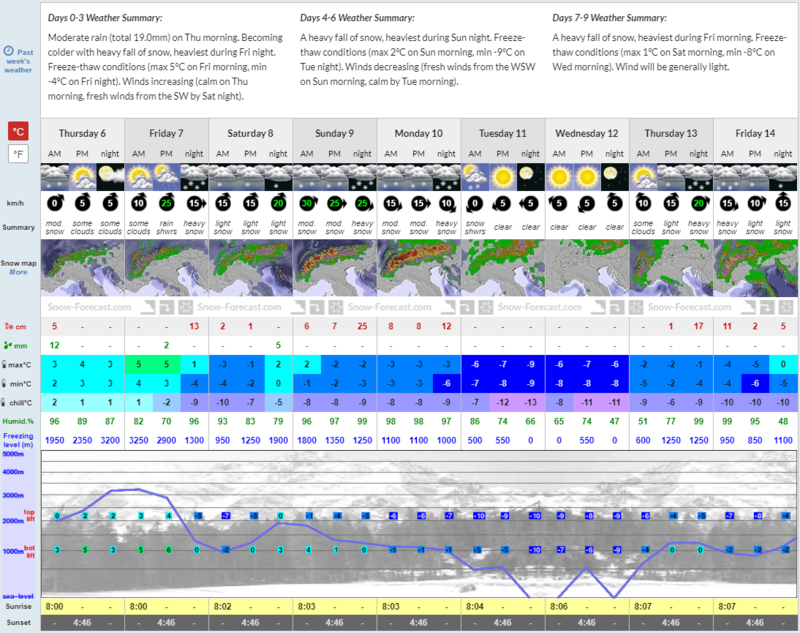 Saturday 8th sees another 2cm in both resorts, with 35cm of heavy snow on Sunday 9th! The snow continues through to Monday 10th with 17cm – by this point, you can expect a great base layer. Tuesday 11th and Wednesday 12th aren’t expecting any snowfall (yet!) – of course this is subject to change. Fortunately, temperatures should be averaging about minus nine degrees Celcius, so you can be sure the snow won’t be melting away! As we move into the tail-end of next week, more heavy snow is expected Thursday 13th at 23cm, with a further 23cm expected on Friday 14th too. Our friendly team are on hand to help with any questions you may have.